Whether you buy a new laptop on sale or not, it’s always important to invest in the right model. In reality, people opt for the cheapest one considering the fact that usually the brand new laptop you have just bought today, will turn old the next day, since every day some companies are introducing some new products. However, the MacBook of Apple won’t come out to be the cheapest ones. Despite the fact that Apple laptops are expensive, some people still buy it. MacBooks are expensive but reliable. They won’t freeze, hang or crash unexpectedly. I’m pretty sure you hate the waiting period when Windows is upgrading. Apple does it in the background, and you can restart whenever you want. Two of the most famous MacBooks are MacBook Pro and MacBook Air. There are some basic advantages and disadvantages of both versions. Let’s discuss the buying guide. A masterpiece by the late Steve Jobs. This man never stops wowing us. Almost a decade ago, when people were struggling with shoulder pain by carrying heavy laptops in their backpack or sidebag, Steve Jobs introduced the lightest laptop ever with MacBook Air. The device is incredibly slim, and the newer versions are even slimmer! Although there are basic operational restrictions, yet Apple is selling millions of devices every year. It’s true MacBook Air is a bit less powerful than MacBook Pro (which will be discussed later on), but since it’s an Apple, you can’t get the new one without any discount less than $999 (USD). For that specific device, solid state drive (SSD) will have fewer capacities. Once you increase the storage capacity, you will have to pay a four-digit amount. The SSDs have replaced the conventional SATA disk, and hence the device is lighter and slimmer than before. Therefore, if you are one of the movies or video loving persons, you want enough space on your MacBook. The display may not be the best but still, MacBook Air is for people who prefer portability more and use it for emails and light works on the go etc. Nevertheless,MacBook Air is the only device which has an SD card reader, which is more suitable for photographers. The MagSafe power connector will ensure your device gets an adequate charge. The battery life is amazing. A healthy battery can even last 12-13 hours, which almost above 3 hours than the typical device. Apple’s 12-inch MacBook is a great choice for portability. It is slim like the Air, and easy to carry around the campus. In other words, it’s mostly suitable for students. Unlike MacBook Air, it has the famous retina display, which provides the extra edge over the Air. So, if you are into video or something like that, you should choose this one over the Air. 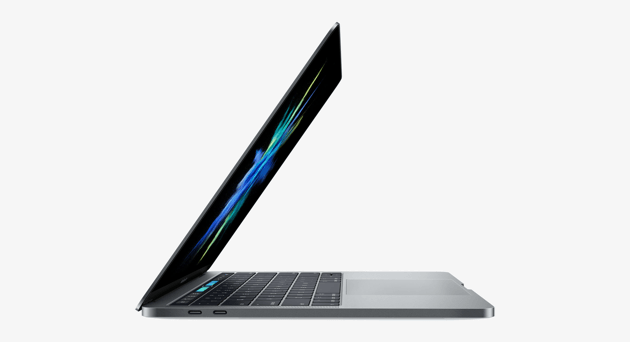 Despite the fact that MacBooks are light, small and fan-free, people have criticized the MacBook for having a less powerful processor and graphics card. However, it will still be able to handle video editing task, but it’s not suitable for gamers at all. I’m not saying the device slow, not at all. It’s just not the right one for gaming. It also has quick flash memory with Core M/i7 superfast processor to execute operations as quick as possible. If you are not happy with no.1 and no.2 I’ve discussed, then you should simply go for MacBook Pro. This is the ultimate device for you which can do all the tasks you need. That also means Pro is the most expensive one among the other laptops. It’s heavier and thicker than the other MacBooks, but if you are concerned about the functionality of your laptop, simply go for this one. It is, however, not prominent in terms of portability, but you can save some battery life and weight of the device by choosing 13-inch one over the 15-inch. If you are someone, who needs a bigger display, then choose 15-inch. There was 17-inch display before, but Apple is vanishing them since bigger displays drain out battery quicker than others, and plus, who needs a 17-inch screen for work anyway? People who need a bigger display can easily use HDMI cable to connect to a bigger screen. There are two extra features involved in Pro version: Touch Bar and Touch ID. Touch Bar is for newbies who don’t actually know the keyboard shortcuts. It shows the features and options immediately to the users. On the other hand, Touch ID has iPhone-style unlocking features, and you can also use to pay online securely. However, the versions with Bar or ID will make you pay at least $500 extra. Pro also contains the retina display with true tone feature which will automatically adjust display color and brightness based on your suitability. The storage can be extended up to 4TB if you need. People usually store everything on iCloud, and in that case, you won’t have to worry about the storage you have. In that case, you can save some bucks as the larger the SSD is, the larger amount you have to pay. The RAM can be extended up to 32GB, which is incredible. The six-core i7 and i9 processors are ruling the market, yet people have voted 2017 models as the best one. Although Apple MacBooks are more expensive than other notebooks or laptops, you can still save some money by using promotional codes or coupons if you purchase online. BrandCoupon Mall offers different discount codes and lets you buy your preferred MacBooks at a discounted price. Please take a look at our website. You won’t be disappointed.